These bundles of seasoned chicken goodness are everyone’s favorite and hard to resist. You’ll want to eat more than one! Mix chicken, cream cheese, thyme, salt and pepper. Press 1 Texas roll or 2 dinner rolls combined into 5 inch circles and divide filling among 12 circles. Pull edges together to seal. Crush herb bread mixture into crumbs. 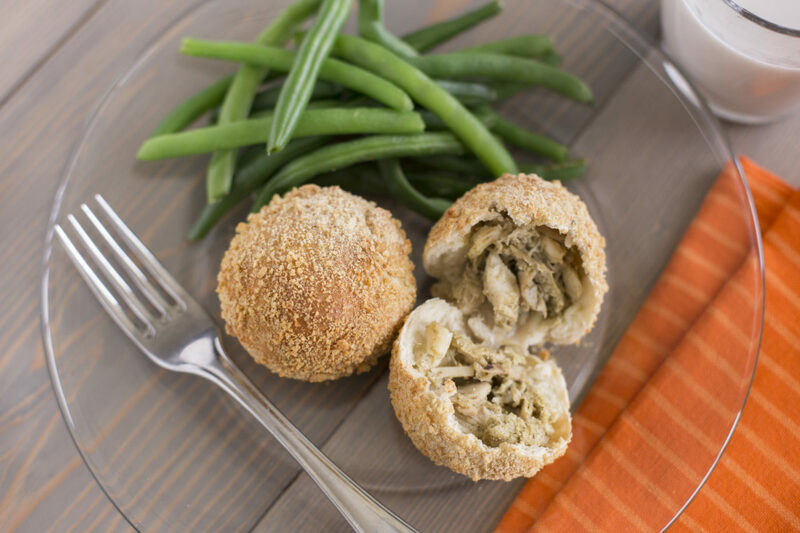 Dip each filled roll in egg and roll in crumbs. Place smooth side up in sprayed muffin tins. Bake at 350°F 20-25 minutes. Serve warm.